I departed on August 28, 2015, and reentered Tampa Bay airspace in the early morning of December 21, 2016. In those months, new things have popped up all around town—breaking ground, seeing completion, and continuing the positive trajectory I could see as I was leaving for Italy. Perhaps most thrilling to me is the gradual change in the retail landscape of Tampa. While we have had cachet stores like Neiman Marcus and Tiffany for some years at International Plaza, we now have two lululemon athletica stores to serve the masses (per the trend toward expensive athleisure apparel). I remember when all we had was a showroom tucked neatly into an office building on Howard Avenue. London Philips moved from behind Bella’s to Hyde Park Village, which is booming again, just like it was when I was a kid. It joins a list of local and national retailers like West Elm, Brooks Brothers, Suitsupply, and Anthropologie. Boston-based owner of the center WS Development also manages a handful of other similar open-air shopping destinations with similar tenant mixes. I would love to see something like Sid Mashburn (of Atlanta) or Jonathan Adler open in Hyde Park. WS has also added new restaurants to the village scene: On Swann, Goody Goody, Sprinkles Cupcakes, and bar taco. Rumor is that Mazzaro’s Italian market from St. Petersburg will take the space now occupied by LA Fitness, but when is unclear. One of Tampa’s coolest retail-food-beverage hybrids The Oxford Exchange now boasts shop-in-shops for Warby Parker (stylish affordable eyewear) and Aēsop (Australian skincare), complementing its already well-curated bookstore and gift shop, which carries brands like Cire Trudon, Olfactive Studio, Rifle Paper Co., and Makr. The Paper Seahorse is better than ever, fleshed out with product and rapidly becoming the authority on all things paper, stationery, and craft. 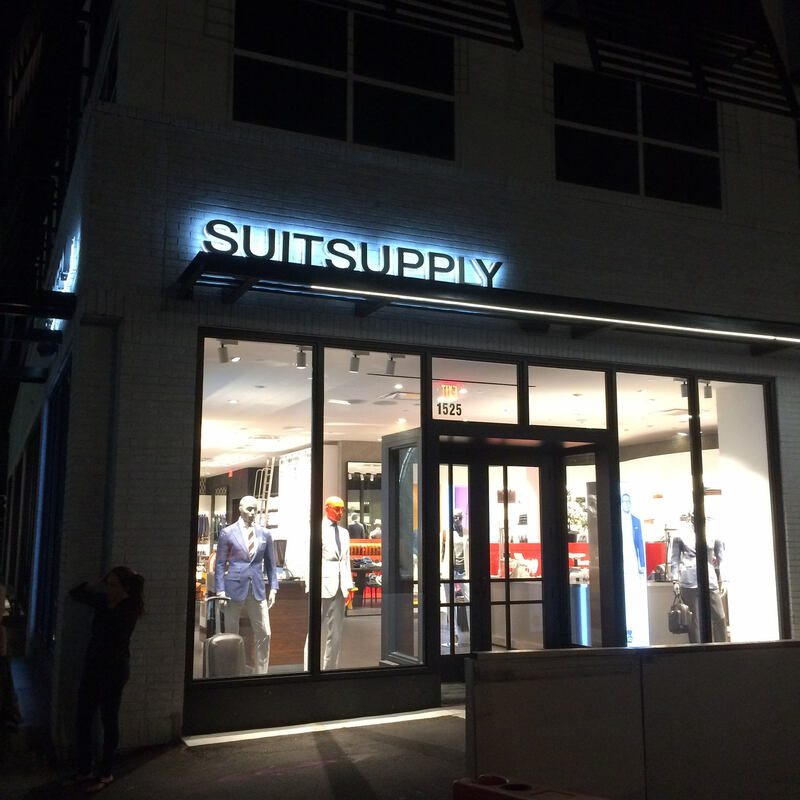 It’s corporate counterpart is Paper Source, now also open in Hyde Park Village. In just a few days, I have also noticed the exponential growth in coffee shops, a rise that rival’s Tampa’s fledgling craft beer scene. Whereas Buddy Brew, Kahwa, and a few others were the key alternatives to Starbucks before, now you’ll find Ginger Beard Coffee at Pourhouse in Channelside, The Lab on West State Street, and Foundation coffee on North Franklin Street near Cafe Hey. These add to the growing list of local providers of caffeine, like TeBella Tea, as well as juices and snacks, like Squeeze, Soho Juice, and Swami. I really missed health-centric food and drink. In fact, I was thrilled to get back to my Fitlife Foods prepared and balanced meals. You can only enjoy so much pasta and pizza before you miss kale and chicken breasts. Speaking of healthy eating, Fresh Kitchen is still delicious. I went to Whole Foods on my first day back in Tampa. A few days later, I remembered about Publix Greenwise. Another delicious development in convenient healthy eating is BT To Go, a branch of B.T. Nguyen’s French-Vietnamese restaurant and bistro, all located within a few miles of each other in South Tampa. The most noticeable changes around town are associated with new residential complexes, historic restorations, and changes to the road network, most notably, with more bike lanes, fewer one-way pairs, and more on-street parking. On North Howard, the former armory is now part of Tampa Jewish Federation’s JCC, a brownfield renovation many years in the making. I drove by it tonight and it looks amazing, actually. Downtown has the most newness. At the corner of Morgan and Brorein, a multi-story complex called Aurora has sprouted, within spitting distance of the Amalie Arena and Tampa Convention Center. Skyhouse, a new high-rise, is complete in Channelside. Up the street, the former Amazon Hose company site is also home to seven floors of new apartments. Publix will eventually be on the corner of Madison and Meridian, and on the north end of downtown, The Heights project is finally taking off, with what will be an open-stall marketplace centerpiece not unlike Chelsea Market in Manhattan. Next, another high-rise residence (915 North Florida) will open across from The Floridan hotel (it is well underway now). But I am partial to Ybor City, and so what’s most thrilling to me is to see quite a few defunct cigar factories being restored for either residential or commercial use. One is between 21st and 22nd Streets near Adamo Drive, a beautiful classic brick fixture taller than anything nearby. I guess it will be offices. The other is on Palm Avenue between 18th and 19th, which looks to be a series of airy lofts. Ultimately, it doesn’t matter what so much that it’s anything at all. Tampa has, like so many other cities, been a victim of sprawl, white flight, and urban blight. It is more complex to develop a site with a history than it is to open a new mall or subdivision on virgin farmlands, though developers and governments are slowly seeing the long-term, collective benefit and appeal of steering investment toward urban areas. Tampa is riding a wave of renewal that so many other cities are experiencing as well. It makes sense: tax revenue is higher on dense plots, which also cost less to provide essential services to (like water, garbage, fire-EMS), and now more than ever, the market is demanding amenities and livability in the urban core, where they can walk, bike, easily connect with the products and services they like, and spend more time socializing in pleasant environments. It is so gratifying to be back here, after a short time, and see so much progress and improvement. Tampa deserves it, and is finally getting attention from merchants, builders, and holders of capital. Jeff Vinik holds a huge chunk of that money, and has announced plans (as of yet mostly unrealized) to totally change the face of southern Downtown and Channelside, to be an urban playground of retail, offices, and residences. It is exciting to imagine what all will be shiny and new in the next ~15 months! Check my custom Google map to check out all the completed and upcoming developments.